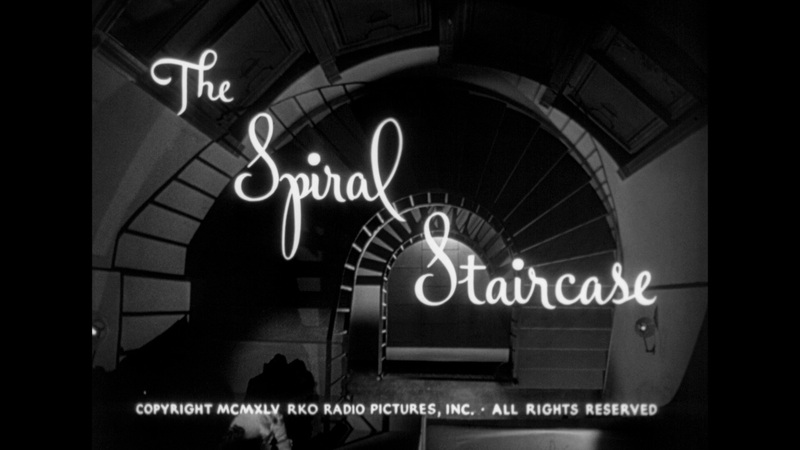 Based on the novel by Ethel Lina White and directed by Robert Siodmak (Cry Of The City, The Strange Affair Of Uncle Harry), 1946’s The Spiral Staircase was produced by David O. Selznick for RKO. 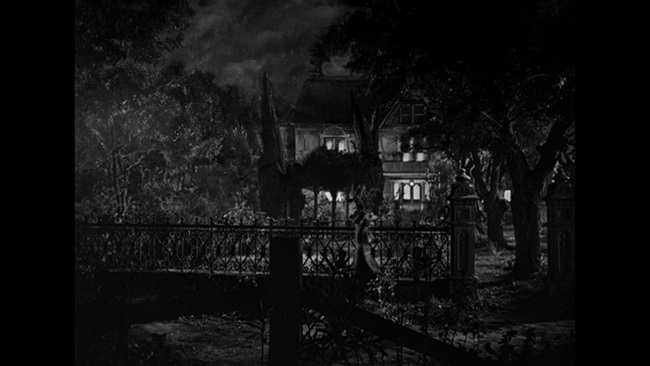 The film, a mix of gothic horror, melodrama and film noir trappings, is set in a small New England town (though it was shot in and around Detroit) and it opens with a surprisingly intense murder wherein a young blind girl meets an untimely death. 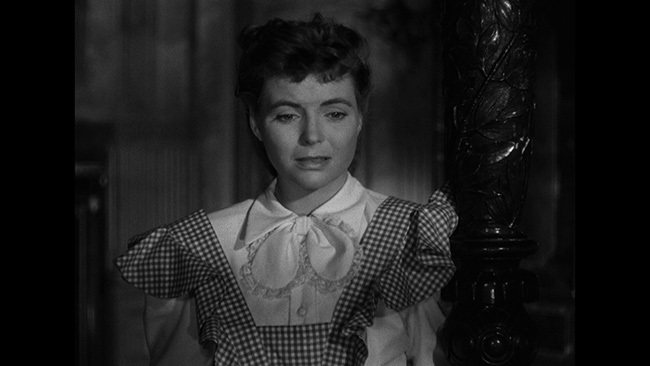 After this, we meet Helen (Dorothy McGuire of Claudia and A Letter To Three Wives), the mute servant who works in a massive old mansion owned by Mrs. Warren (Ethyl Barrymore of None But The Lonely Heart). 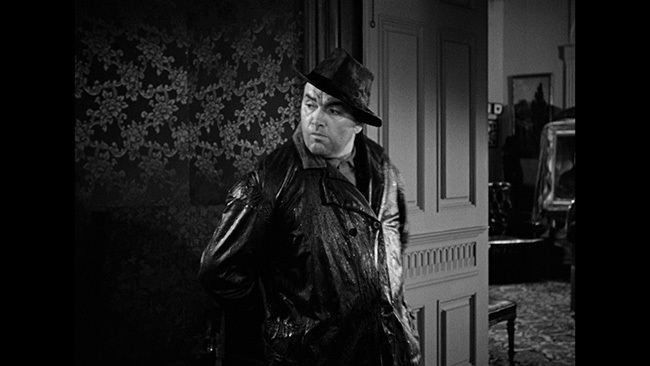 There’s a killer on the lose with a penchant for taking out disabled young women in the area, and knowing she fits the bill, Helen is understandably nervous about her own wellbeing. 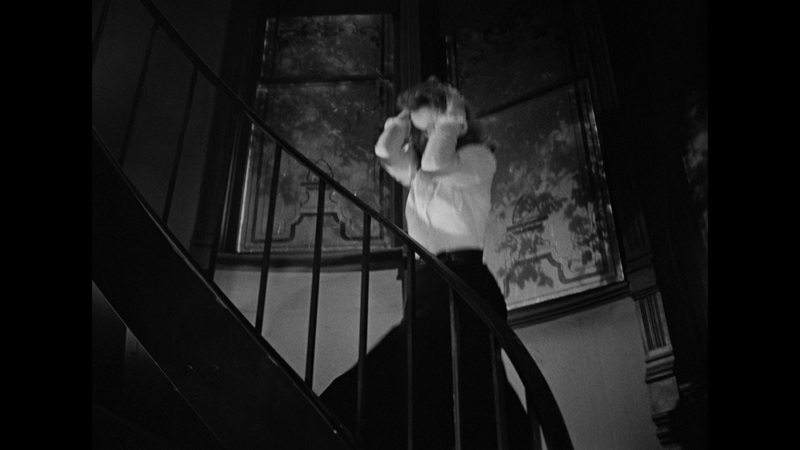 The Spiral Staircase benefits quite a bit from a very strong cast. Ethyl Barrymore, who got an Oscar nomination for her work in the picture, really stands out here and delivers a powerhouse performance but she’s not the only one worth mentioning. 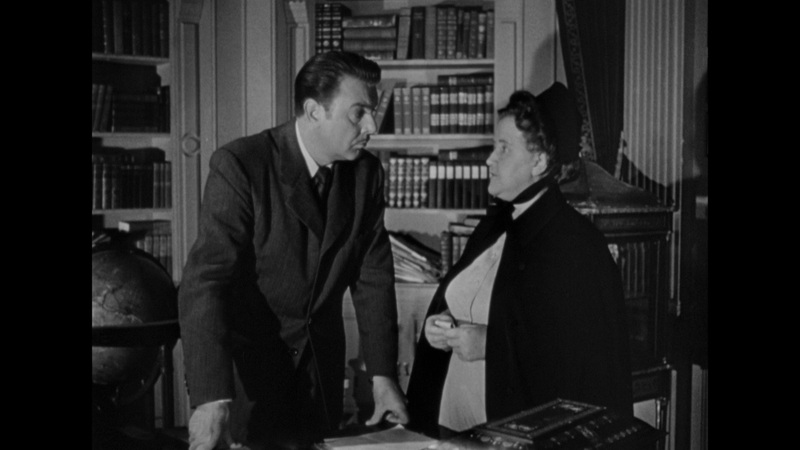 George Brent and Kent Smith are both very solid here and Elsa Lanchester is great as the hard-drinking cook. Throw in an appearance from the stunningly beautiful Rhonda Fleming and some strong work from Dorothy McGuire in the lead and it’s easy to see how this would be worth seeing just for the casting alone. 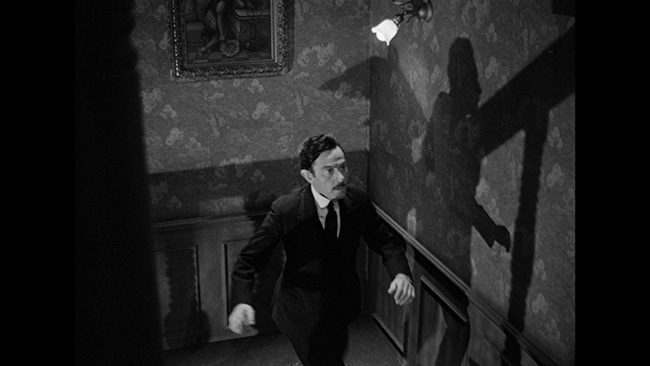 Featuring great cinematography from Nicholas Musuraca (Out of the Past, The Cat People) and a rousing score from Roy Webb (Notorious, Return Of The Fly), The Spiral Staircase is eighty-four-minutes well spent. It’s very nicely paced on the part of Siodmak (whose eyes stood in for those of the killer in the film’s striking closeup shots! 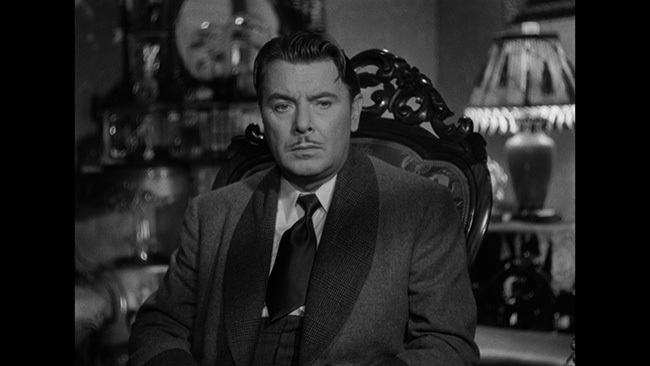 ), a skilled director (and one of the most important to have worked on vintage film noir pictures) who also manages to coax strong performances out of an admittedly already very talented cast. 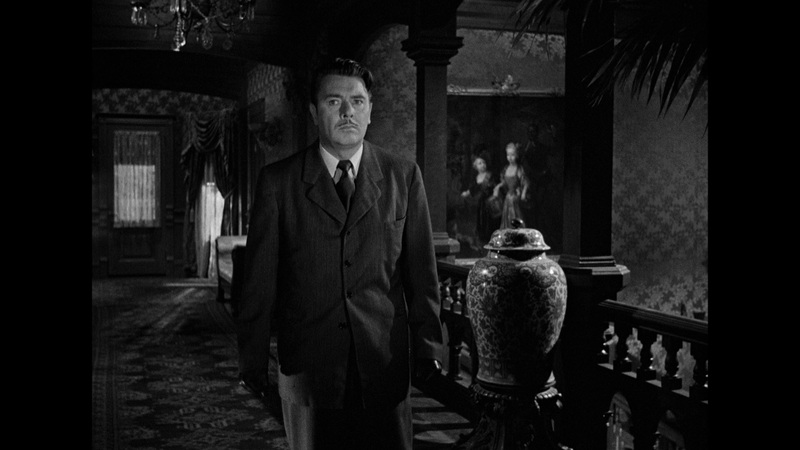 Setting the bulk of the film inside to creepy old house probably allowed for the film to stay on budget but more importantly it gives the story an appropriately atmospheric and shadowy locale off of which it can be staged. It’s here that Musuraca’s talents really shine, the film is beautifully shot with a lot of the camera work doing a great job of heightening tension and suspense. It’s potent stuff not only by the standards of the day, but even by a more modern criteria. Kino Lorber presents The Spiral Staircase in its proper 1.33.1 aspect ratio in a transfer taken from a 4k restoration of a fine grain master. There are a couple of spots here and there where there’s just a bit of softness (the opening credits being the most obvious example) and occasional instances of minor print damage and age-related wear, this is a really nice-looking transfer. Detail is typically quite strong and black levels are nice and deep. Whites are clean and there’s a good grey scale in the middle of that and the disc is devoid of any obvious compression artifacts. Contrast is also fine here. 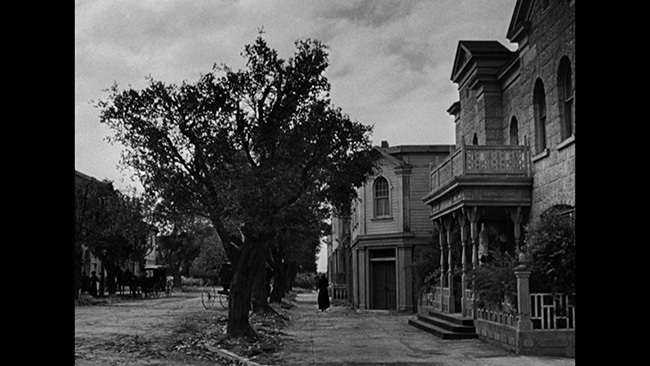 The image also looks quite film like, showing a natural amount of film grain and no evidence of noise reduction or edge enhancement. If this isn’t quite perfect, it’s damn good. The English language DTS-HD Mono track sounds just fine. Optional subtitles are provided in English only. While range is understandably limited by the source, there’s nothing to complain about here. The track is clean, with no hiss or distortion noticeable at all. Dialogue is always easy to follow and it sounds nice and crisp. The score has a reasonable amount of depth to it for an older single channel track. No problems here of note. Imogen Sara Smith’s audio commentary track is the main extra feature on the disc. Here she takes us through the history of the film and talks up the careers of those who made it. 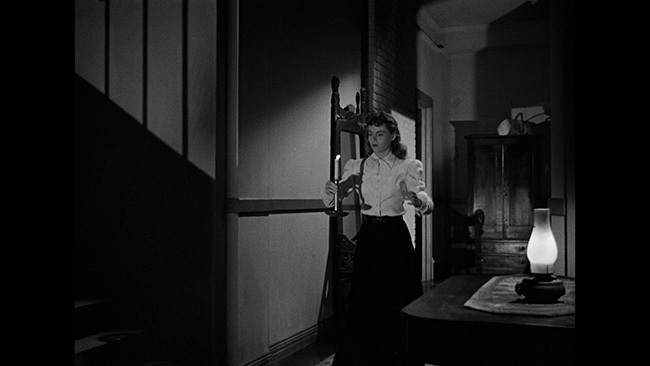 There’s plenty of information here about the cast members, about Siodmak’s directing style and career, the source material that was turned into the film and the way in which the picture not only dabbles in different genres but also depicts the various issues of its central characters. 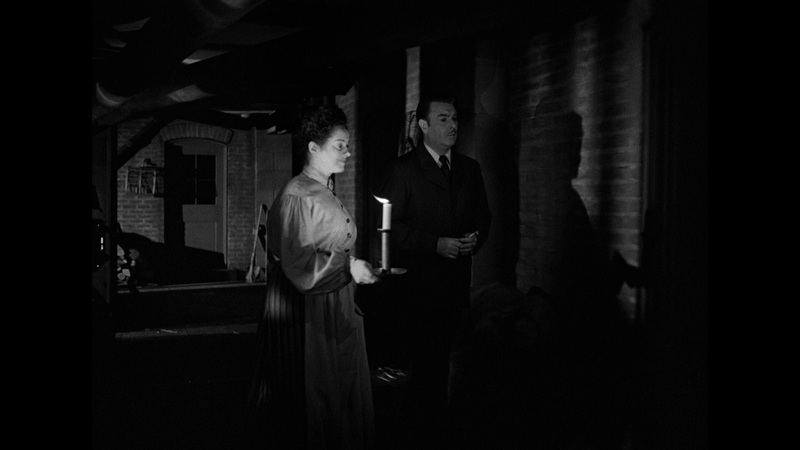 A 1945 Screen Director’s Playhouse radio play version of the story is also included, featuring Siodmak and McGuire in the cast. 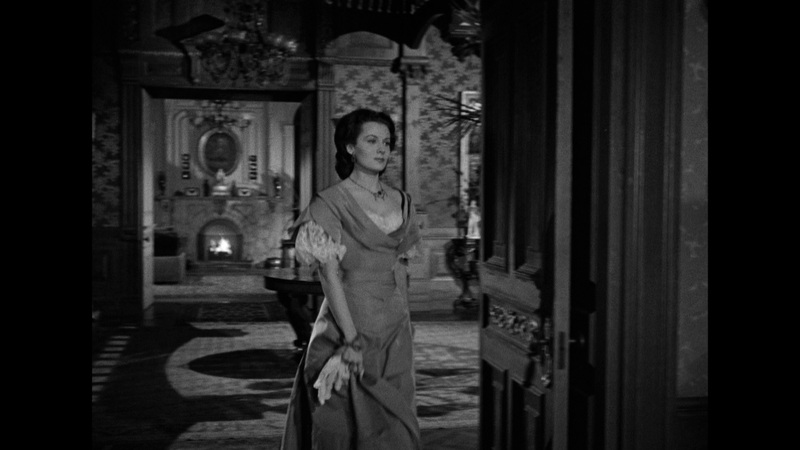 It runs roughly half an hour long and as such, it’s considerably more condensed than the film itself but it makes for an interesting alternate version of the story. 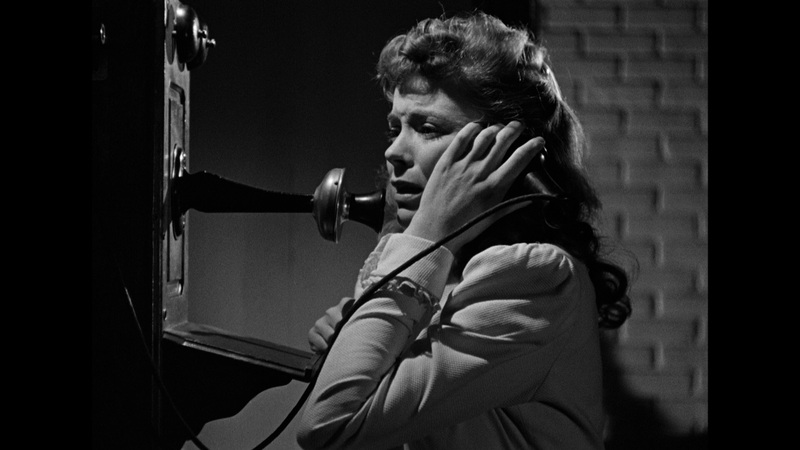 Rounding out the extras on the disc is a trailer for the feature and bonus trailers for Cry Of The City, I Wake Up Screaming, Deadline U.S.A. and Daisy Kenyon as well as menus and chapter selection. 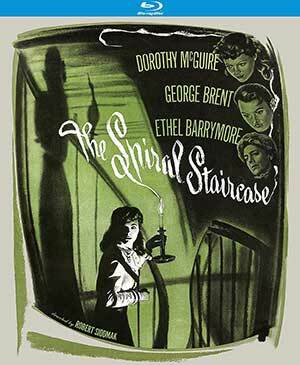 The Spiral Staircase holds up remarkably well, it’s a very strong suspense picture that’s rich with atmosphere and even a few genuine scares. The cast make the most of the already strong material and Siodmark’s controlled direction guides it all to a perfect landing. Kino’s Blu-ray is a very nice upgrade over what we’ve had in the past, offering up some decent extras and a beautiful presentation. Highly recommended! Click on the images below for full sized The Spiral Staircase Blu-ray screen caps!